Home / Militaria, collectibles, insignia, buttons etc. / M/1922 Sword, Finnish army, NCO model. Issued. W/ Portope and leather mount. 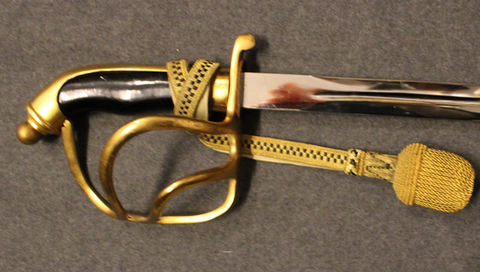 This specimen has little marks of tea, the blade is very finer, and the guard solid and only minos signs of use are visible, some scratches and some wear on the scabbard ase visible, this indicates this sword has been in service use, as the scabbard has worn but the sword has been hailed with care and respect. The portopé is quite clean and the belt mount is very nice condition. The sword is manufactured by E & F Hörster Solingen.